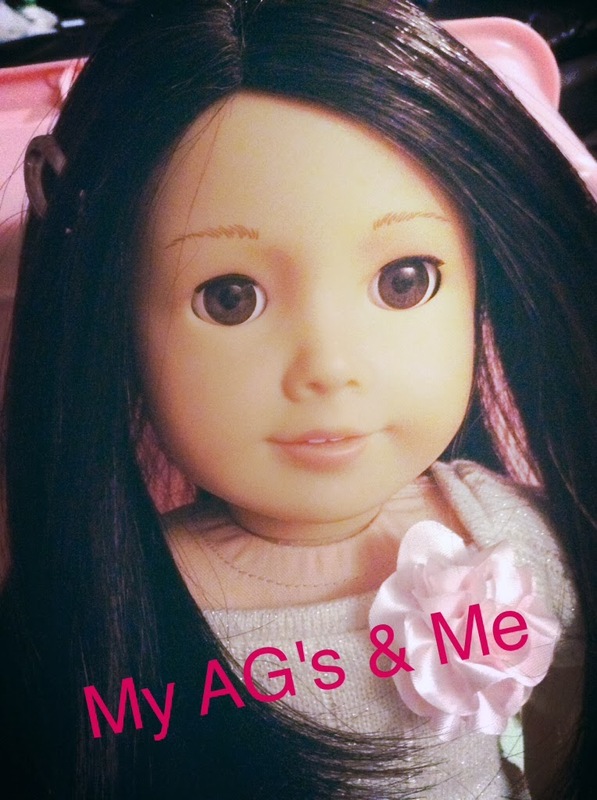 Here's a quick tutorial that I learned from this really awesome website called American Girl Ideas that I tweaked a little, please check it out!! This is Kit's real reporter set. 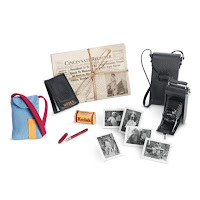 I didn't make everything, but I did make the photos, camera, newspaper, notes, and kodak case. 1: Wrap 7 by 3 inch cardboard around in a circle, then tape it. Fill it with tissue paper. Then wrap the cardboard in black duct tape. This is the base of your camera. To make the camera's carrying handle, wrap duct take in half and then tape it. Use construction paper wrapped in duct tape to make the lens. To make the buttons, use a hole puncher to punch out to holes in white paper. Glue them to the camera where you see appropriate. 2: I decided to make my notebook the opposite way of Kit's real notebook but do as you see fit. Fold a piece of black construction paper in half, I don't have the approximate measurement but make it doll sized. Inside, glue a folded up white piece of paper. Write, Notes on the cover with a marker or pen. To make everything else, use the wonderful print outs from American Girl Ideas. I wanted to make the kodak case seem old, so I covered it in modge podge.